Geographical subdivisions of state government. Political jurisdictions, such as cities, villages, or towns, incorporated under state law to provide governance to defined geographical areas; they are more compact and more densely populated that counties. A local governmental unit created for a single purpose, such as water distribution. Incorporated political jurisdictions formed to provide self-governance to particular localities. The elected chief executive of a municipality. An official appointed to be the chief administrator of a municipality. A form of municipal governance in which there is an elected executive and an elected legislature. 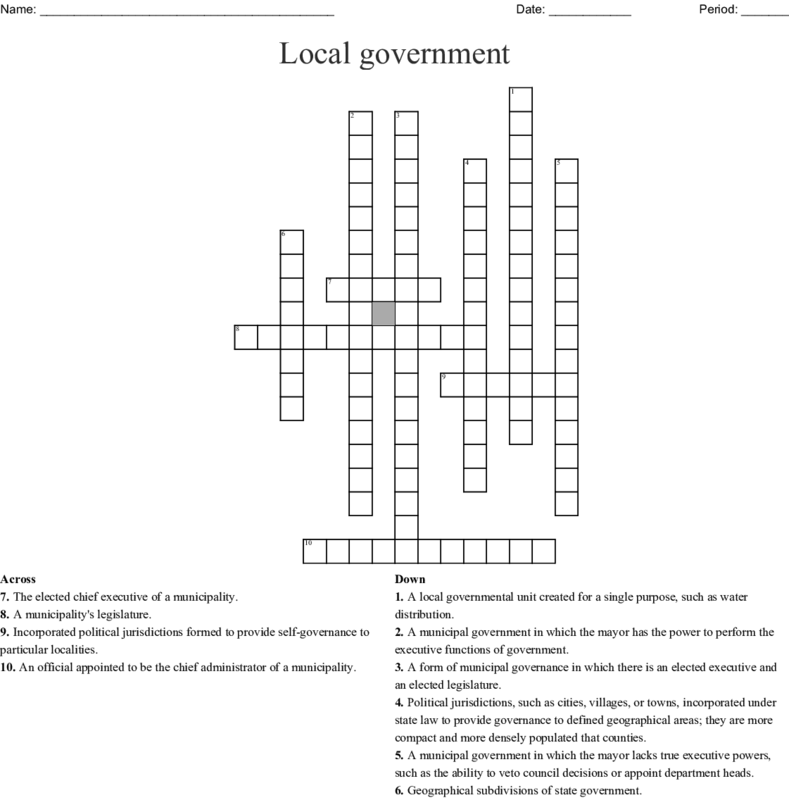 A municipal government in which the mayor has the power to perform the executive functions of government. A municipal government in which the mayor lacks true executive powers, such as the ability to veto council decisions or appoint department heads.